One of the most important and challenging aspects of forecasting is handling the uncertainty inherent in examining the future. Having built and populated hundreds of financial and operating models for LBOs, startup fundraisings, budgets, M&A, and corporate strategic plans since 2003, I have witnessed a wide range of approaches to doing so. Every CEO, CFO, board member, investor, or investment committee member brings their own experience and approach to financial projections and uncertainty — influenced by different incentives. Oftentimes, comparing actual outcomes against projections provides an appreciation for how large the deviations between forecasts and actual outcomes can be, and therefore the need for understanding and explicitly recognizing uncertainty. I initially started out using scenario and sensitivity analyses to model uncertainty, and still consider them very useful tools. Since adding Monte Carlo simulations to my toolbox in 2010, I have found them to be an extremely effective tool for refining and improving how you think about risk and probabilities. I have used the approach for everything from constructing DCF valuations, valuing call options in M&A, and discussing risks with lenders to seeking financing and guiding the allocation of VC funding for startups. The approach has always been well received by board members, investors, and senior management teams. 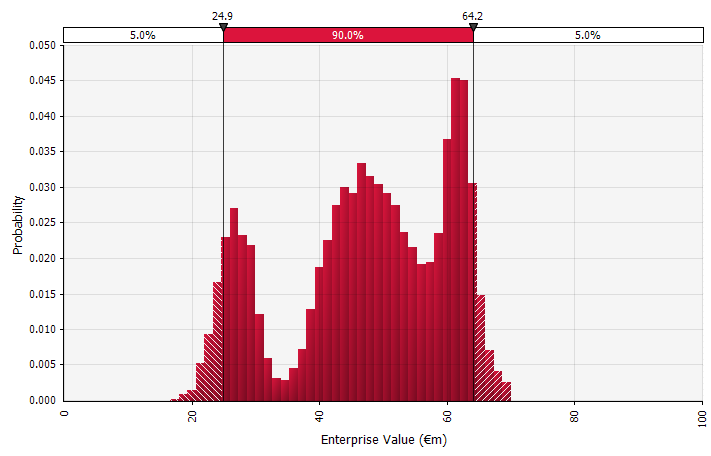 In this article, I provide a step-by-step tutorial on using Monte Carlo simulations in practice by building a DCF valuation model. Before starting with the case study, let’s review a few different approaches to handling uncertainty. The concept of expected value — the probability-weighted average of cash flows in all possible scenarios — is Finance 101. But finance professionals, and decision-makers more broadly, take very different approaches when translating this simple insight into practice. The approach can range from simply not recognizing or discussing uncertainty at all, on one hand, to sophisticated models and software on the other. In some cases, people end up spending more time discussing probabilities than calculating cash flows. Aside from simply not addressing it, let’s examine a few ways of handling uncertainty in medium- or long-term projections. Many of these should be familiar to you. Creating one scenario. This approach is the default for budgets, many startups, and even investment decisions. Besides not containing any information about the degree of uncertainty or recognition that outcomes may differ from the projections, it can be ambiguous and be interpreted differently according to the stakeholder. Some may interpret it as a stretch target, where the actual outcome is more likely to fall short than exceed. Some view it as a baseline performance with more upside than downside. Others may see it as a “Base Case” with 50/50 probability up and down. In some approaches, especially for startups, it is very ambitious and failure or shortfall is the more likely outcome by far, but a higher discount rate is used in an attempt to account for the risk. The inputs in the long-term cash-flow forecast under this approach are all point estimates, yielding a point estimate result of €50 million in this example, with an implicit probability of 100%. Creating multiple scenarios. This approach recognizes that reality is unlikely to unfold according to a single given plan. 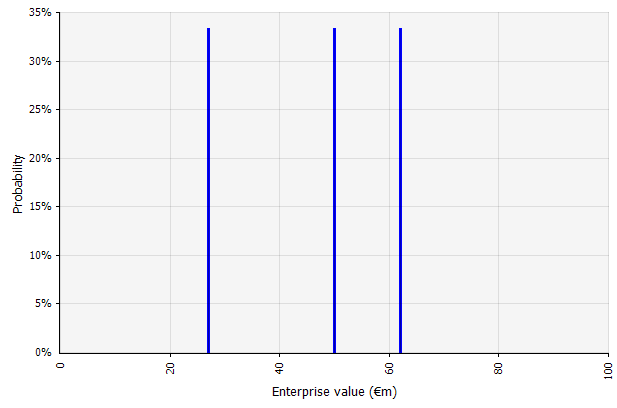 In its simplest form, sensitivity analysis, this could simulate the impact of, for example, sales growth 10% above and below that of the base case, using a given mix of fixed, semi-variable and variable costs to estimate the bottom-line impact. In more complex forms you think about the future from a completely different perspective for each scenario, and analyze the impact that different technological developments, competitive dynamics, and macro trends will have on the company’s performance. Oftentimes, the scenarios are unfortunately chosen quite arbitrarily, and sometimes with a desired end result in mind. The three different scenarios yield three different results, here assumed to be equally likely. The probabilities of outcomes outside the high and low scenarios are not considered. Creating base-, upside, and downside cases with probabilities explicitly recognized. 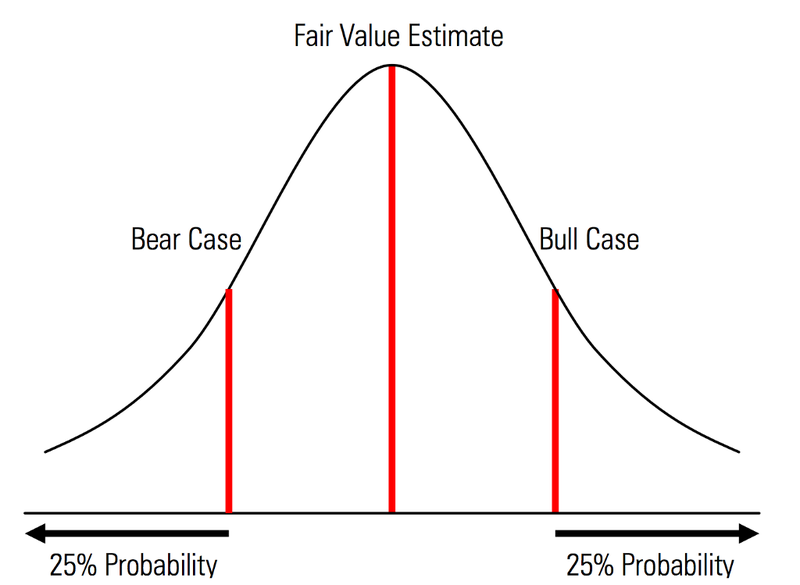 That is, the bear and bull cases contain, for example, a 25% probability in each tail, and the fair value estimate represents the midpoint. A useful benefit of this from a risk management perspective is the explicit analysis of tail risk, i.e., events outside the upside and downside scenarios. Using probability distributions and Monte Carlo simulations. 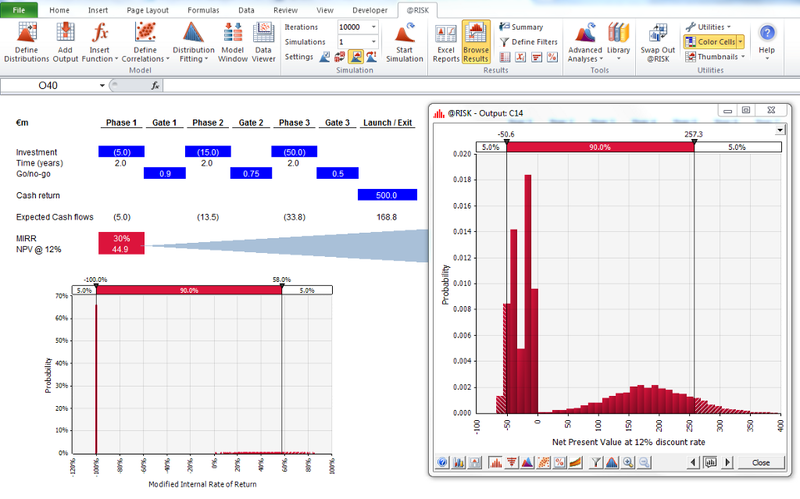 Using probability distributions allows you to model and visualize the full range of possible outcomes in the forecast. This can be done not only at an aggregate level, but also for detailed individual inputs, assumptions, and drivers. Monte Carlo methods are then used to calculate the resulting probability distributions at an aggregate level, allowing for analysis of how several uncertain variables contribute to the uncertainty of the overall results. Perhaps most importantly, the approach forces everyone involved in the analysis and decision to explicitly recognize the uncertainty inherent in forecasting, and to think in probabilities. Just as the other approaches this has its drawbacks, including the risk of false precision and resulting overconfidence that may come with using a more sophisticated model, and the additional work required to select suitable probability distributions and estimate their parameters where otherwise only point estimates would be used. Monte Carlo simulations model the probability of different outcomes in forecasts and estimates. They earn their name from the area of Monte Carlo in Monaco, which is world-famous for its high-end casinos; random outcomes are central to the technique, just as they are to roulette and slot machines. Monte Carlo simulations are useful in a broad range of fields, including engineering, project management, oil & gas exploration and other capital-intensive industries, R&D, and insurance; here, I focus on applications in finance and business. In the simulation, the uncertain inputs are described using probability distributions, described by parameters such as mean and standard deviation. Example inputs in financial projections could be anything from revenue and margins to something more granular, such as commodity prices, capital expenditures for an expansion, or foreign exchange rates. When one or more inputs is described as probability distributions, the output also becomes a probability distribution. A computer randomly draws a number from each input distribution and calculates and saves the result. This is repeated hundreds, thousands, or tens of thousands of times, each called an iteration. When taken together, these iterations approximate the probability distribution of the final result. The input distributions can be either continuous, where the randomly generated value can take any value under the distribution (for example a normal distribution), or discrete, where probabilities are attached to two or more distinct scenarios. A simulation can also contain a mix of distributions of different types. Take, for example, a pharmaceutical R&D project with several stages that each have a discrete probability of success or failure. This can be combined with continuous distributions describing uncertain investment amounts needed for each stage and potential revenues if the project results in a product that reaches the market. 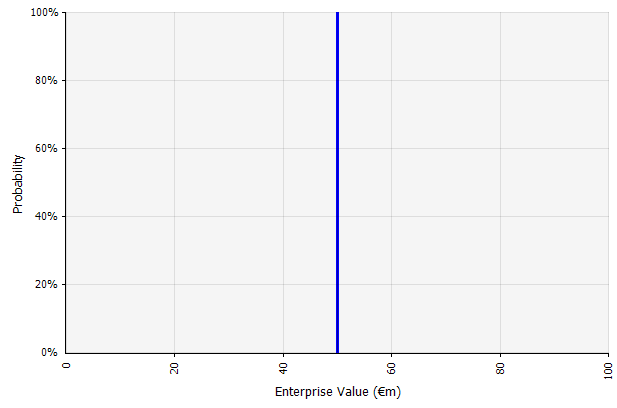 The chart below shows the output from such a simulation: a ~65% probability of losing the entire investment of €5 million to -€50 million (present value), and a ~35% probability of a net gain most likely in the range of €100 to €250 — information that would be lost if key output metrics such as MIRR or NPV are shown as point estimates rather than probability distributions. Interested in learning more about how to perform a Monte Carlo simulation? Read more here from the Toptal Finance Blog. Forecaster’s Toolbox: How to Perform Monte Carlo Simulations was originally published in Toptal Publications on Medium, where people are continuing the conversation by highlighting and responding to this story. Would You Go To China on Business Now? Don’t Break Up The Tech Oligarchs. Force Them To Share Instead.